The couple behind the YouTube channel DaddyOFive has been charged with two counts of child neglect. Michael and Heather Martin (of Ijamsville, Maryland) were charged with mistreating two of their five children between November 2016 and April 2017, court records show. The charges were filed on July 27. 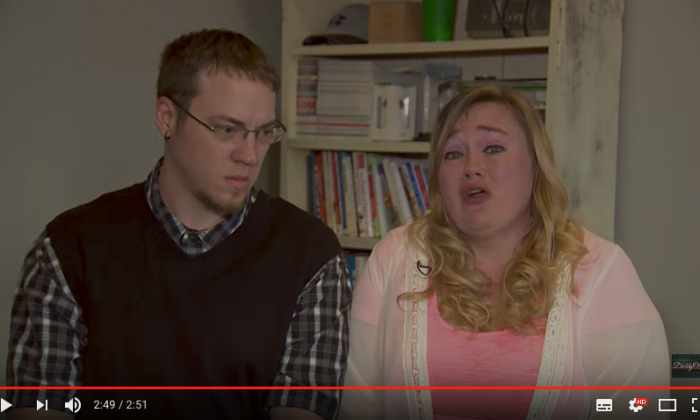 The Martins run a YouTube channel DaddyOFive that had been dedicated to prank videos and had amassed over 700,000 subscribers. Yet many of the pranks involved the children and viewers have pointed out that in several instances the parents’ behavior may have crossed the line of abuse. In one video, the children play a penalty game and the penalty is that one child has to slap the other. In April, Youtuber Philip DeFranco (over 5.6 million subscribers) published a series of videos criticizing the Martins. Others in the YouTube community followed suit. Within days, all the prank videos were unpublished from the channel. On April 22, a video was posted on the channel where the couple apologized for their behavior. “We put things on the internet that should not be there. We did things that we should not do,” Michael Martin said. Heather Martin explained the popularity of their videos and the associated advertising revenue allowed them to provide more for their children. The children were excited about the popularity too. That served them as a justification for pursuing more video views through extreme behavior. “We just kept going more and more for the shock factor,” she said. “We just wanted our kids to be happy and we went about it the wrong way,” she said. She said the family now attends counseling. The child neglect charges involve their children Cody and Emma, according to The Frederick News-Post. The couple lost custody of the two children in April to their biological mother, Rose Hall. The Martins are scheduled for a plea hearing on Sept. 11. The maximum penalty for the crime is 5 years imprisonment ana $5,000 fine. Two ardent Trump supporters blasted YouTube on Thursday, Aug. 10, saying that the company censored most of their videos because they are conservatives loyal to the president of the United States. 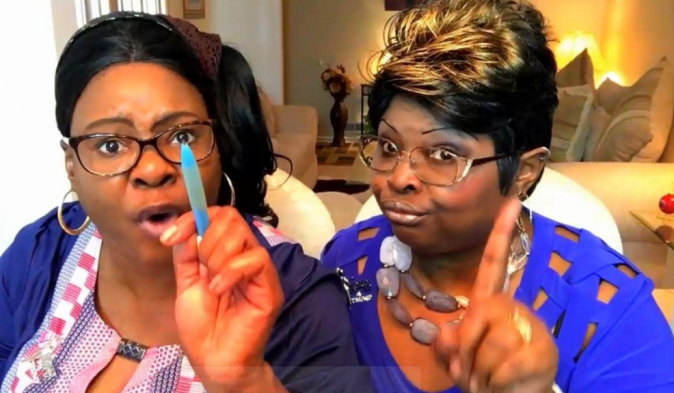 Lynette Hardaway and Rochelle Richardson—better known to their YouTube and Twitter fans as Diamond and Silk—said that YouTube demonetized 95 percent of their videos. Content creators lose all revenue from videos that are demonetized, meaning that Diamond and Silk lost virtually all of their YouTube revenue overnight. “How was it ok to monetize our videos for the past two years and now those same videos are no longer eligible for monetization?” the duo wrote on Twitter on Thursday. “Sounds like censorship to us, which is a violation of our First Amendment [right]. A bias method used to silence our conservative voices,” they added. Former governor of Alaska and candidate for vice president Sarah Palin took to Twitter to show her support. “They are messing with the wrong ladies. We’ve got your back Diamond And Silk,” Palin wrote. “The videos will remain on YouTube behind an interstitial, won’t be recommended, won’t be monetized, and won’t have key features including comments, suggested videos, and likes,” YouTube said in the statement. Diamond and Silk are the latest in a recent string of incidents where conservative voices have been silenced by large tech companies. James Damore, a Google software engineer, was fired after he wrote a 10-page memo exposing Google’s discriminatory hiring practices and a chilling workplace culture where conservatives are shamed and intimidated into silence. Prior to that, Twitter banned social commentator and YouTube personality Carl Benjamin, better known as Sargon of Akkad. Benjamin, who has over 689,000 subscribers on YouTube, was banned from Twitter over a message he sent to two European Union officials, asking if a link exists between mass Islamic migration and the rise in Islamic terror. Meanwhile, the censorship has even extended to members of the Trump family. In early August, Twitter censored a message from Eric Trump, President Donald Trump’s son, in which he praised the addition of 209,000 jobs to the U.S. economy and linked to a right-leaning and immensely popular news aggregator Drudge Report. China Uncensored is a weekly satire show produced by NTD Television. The views expressed do not necessarily represent those of Epoch Times. You may have heard about how YouTube has rolled out some extremely vague, nondescript guidelines for what topics are “advertiser-friendly content.” And YouTube says that if I don’t create “advertiser-friendly content,” they won’t place ads in my episodes. In fact, YouTube has been taking away ads across the board for thousands of YouTube creators. If a video violates their vague prohibitions, YouTube removes the ads before and during the video. Great! No ads! Except that’s how everyone supports their shows. Without advertising revenue, shows like China Uncensored wouldn’t exist. This story first broke last Wednesday when big-time YouTuber Philip Defranco called them out on it. Why censorship? Because those ads that are the main way we supports ourselves at China Uncensored. That’s how we can create episodes for you three times a week. That’s why I’ve been getting emails like this. Maybe YouTube prefers I praise China’s economic development? Or maybe I should just cover food festivals? Ok, maybe not all food festivals. Now YouTube has responded to the outrage from Youtube creators and fans by saying this is not a new policy, they’ve just implemented a new policy that lets you know they’ve stripped your revenue away by sending you an email. So YouTube didn’t change their policy? They used to take your money away without telling you? Isn’t that even worse? But actually, this is new to me. This month marks China Uncensored’s 4-year anniversary on YouTube. And until last month, not once has a video of mine had its ads stripped away like this. But in the past week and a half, six of my videos have been flagged, costing the show potentially thousands of dollars in lost revenue. And guess what? I only got emails about two of them. YouTube is still not properly notifying me. Now technically, this isn’t censorship. YouTube still keeps the videos online. But it’s ad-censorship. Because without ads, this show can’t survive. And doesn’t this ad-censorship incentivize all YouTube creators to avoid sensitive and controversial topics? I wonder if this has anything to do with Google trying to get back into China. Ok, probably not. Maybe. But meanwhile, the Chinese regime invests an estimated 10 billion dollars a year in what they call “external publicity work.” That is, spreading its propaganda message to the West. The Communist Party has a giant billboard in Times Square, broadcasting Chinese propaganda 24/7, 365 days a year since 2011. They place their propaganda in newspapers like the New York Times and Wall Street Journal—yes, China Watch is a paid insert in respectable Western newspapers. State-run CCTV gives its propaganda news feed to all the major US TV networks, telling them “here’s the latest China news, for free!” They even created an English language version of CCTV and put its headquarters seven blocks from the White House. The Communist Party even buys airtime on American radio stations without disclosing it. That’s why I created China Uncensored. To cut through all that and deliver truthful, uncensored information about China and how it affects you. But now, YouTube is cutting off ad revenue on controversial topics. I’m not exaggerating when I say this could kill China Uncensored. Without income, I’ll have to stop doing the show for you. And my YouTube revenue has plummeted in the last few weeks. Unbelievably, it’s less than it was a year ago—when I had only 120,000 subscribers and half as many staff to support. And another challenge is this: Even on my videos that YouTube doesn’t ad-censor, I’ve been losing a lot of revenue. For a typical episode I publish, about 30,000 of you use ad blockers. Look, I get it. YouTube ads can be annoying. But it’s how YouTubers like me can afford to make content for you. But there is a way you can help keep this show going. Support China Uncensored on Patreon. Patreon is a website that lets people like you directly support your favorite creators on YouTube. Sort of like how during the European Renaissance, patrons would provide financial support to artists so they could focus on their craft. I started working with Patreon a year ago, and the extra income has allowed me to do things like: Hire Zach, our researcher; hire Seamus, our video editor so I could make more episodes every week; travel to South Korea, hold fan events, buy costumes and props, and much more. But so far, Patreon has only been a third of our revenue. YouTube ads have been the majority. Until now, I’m afraid. So your Patreon support is more crucial than ever before. If you’re already one of my Patreon supporters, thank you so much! You’ve been a huge help so far, and I hope you’ll continue. And if you can afford it, please consider expanding your monthly limit—because monthly limits are why contributions plummet by the end of each month. And if you aren’t a Patreon supporter yet, please become a supporter now. Sign-up is super easy; it takes less than five minutes. The link is below. And to commemorate our challenges with YouTube, I’ve created a new support level: China Uncensored Uncensorer! That official title will be yours—to all of you who contributes 5 cents or more per episode. Because if all 30,000 of you who use ad blockers contribute even 5 cents per episode, you can make up for it in a big way. Our most popular level of support, of course, is 50 cents—where you can become an official member of my 50-Cent Army. I’ll also give you some cool wallpaper to download for your phone or computer. Check out the even cooler rewards like music downloads for people who contribute more. Now recently, I asked a few hundred of you in my Market Research Team what you’d like to see from me. And the most common request was: Behind-the-scenes stuff. So, wish granted. Starting now, for everyone who supports China Uncensored on Patreon, I’ll start posting behind-the-scenes stuff that only youget access to. Because your support will keep China Uncensored uncensored. So please, share this video. Get the word out there that YouTube is censoring creators by not placing ads on controversial videos. And again, please support the show on Patreon. And one more thing: China Uncensored has never had ads, except the ones YouTube places automatically. The only exception was Mania, the South Korean tailor who gave me suits and ties earlier this year in exchange for making that ad—the kind of ad that goes here, in what we call the “end card.” I take the integrity of this show very seriously and have been reluctant to have product sponsors for the show, even though that’s extremely common on YouTube, and advertisers have been reaching out to me for a long time. Now I see that if China Uncensored show is to continue, I’m also going to need to do this. But I just want you to know that if you ever see me promoting a product, it will be something I personally approve. And never will any advertiser control the content of the show. China Uncensored is and will remain independent and uncensored.